The mission of Fiona’s House is to provide young ladies and their families with quality services that will promote, empower and enhance positive self awareness and community building that will afford them the knowledge, confidence and tolls necessary to reach their highest potential. 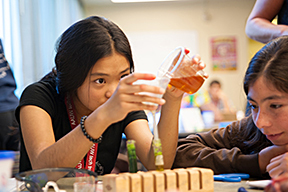 Fiona’s House: STEM’s Leadership Academy is a program designed to develop the character, mentality and educational discipline to young girls in grades 6-8 interested in pursuing careers in science, technology, engineering and mathematics. This program will provide tutorial assistance afterschool and the opportunity to strengthen problem solving skills and the ability to respond quickly in spontaneous situations. Fiona’s House: Leadership Academy’s staff will work to develop young ladies into future leaders in their S.T.E.M.s careers and in the community. This project is in the memory of Fiona Lawrence who was a Herford County Public School graduate. 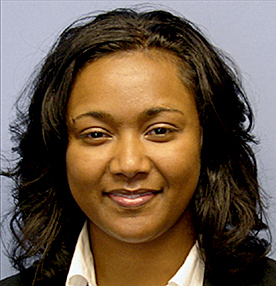 Ms. Lawrence was a Medical student at Duke University at the time of her death and was dedicated to providing quality health care services, promoting self-awareness and community building. Ms. Lawrence was also instrumental in the establishment of RICCE, Inc.
RICCE, Inc.’s vision is to find young leaders and invest in their futures. Fiona’s House: STEM’s Leadership Academy will enable young ladies in rural communities to develop educational and social habits needed to compete academically with students from metropolitan areas. For more information feel free to call 252-862-4010 or email Kenyatta Ward.